General home repair and maintenance services. Junk hauling. Light demo. Clean-outs and deliveries. We Want Your Complete Satisfaction In Every Service We Provide... Period! "Max came over and took care of several misc. repairs I had in my condo. Couldn't of had a better experience." -Jenny S.
"I have a rental that Max helped me with. I needed a quick turnover and he was better than I had hoped. I will keep Max as my go-to handyman." 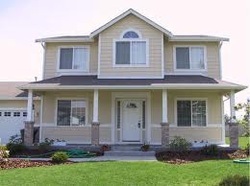 Max Handyman is San Diego's professional, reliable and affordable handyman service provider. We specialize in your small/odd job. Service areas include, but not limited to: San Diego, Chula Vista, Eastlake, El Cajon, Pacific Beach, Ocean Beach, Imperial Beach, Mission Valley, Hillcrest, Lemon Grove, Oceanside, Escondido, San Marcos, Etc.